All four suspects are in custody in the western Manitoba shooting of a Mountie on Wednesday night who is recovering in hospital in Winnipeg. 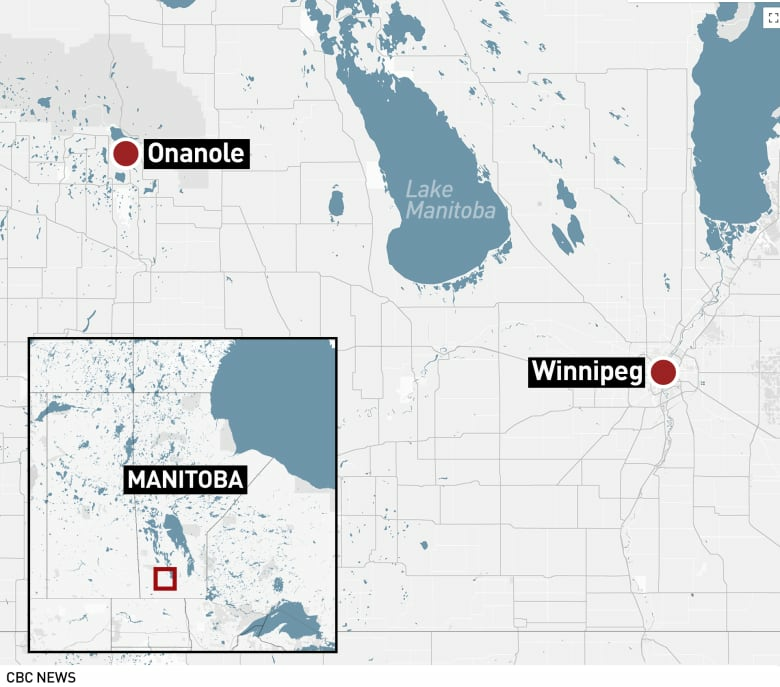 Four suspects are in custody in the western Manitoba shooting of a Mountie who is recovering in hospital in Winnipeg. The injured officer is 42-year-old Cpl. Graeme Kingdon, of Erickson, Man., who is married and has two children, according to the mayor of Erickson and members of his extended family. He is in stable condition, police say. 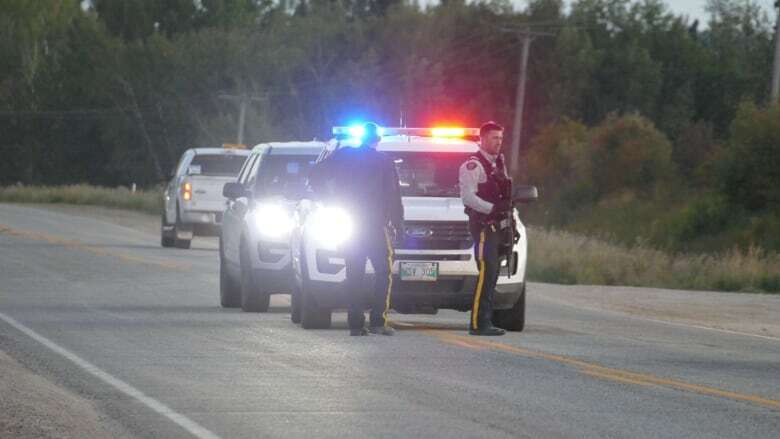 The fourth suspect in the shooting was arrested after an hours-long standoff Thursday with RCMP in Neepawa, which is about 50 kilometres from Onanole, where the officer was shot Wednesday night after responding to a report about a break-in. Dozens of police officers, including members of the RCMP tactical unit, had surrounded a house in Neepawa around 11:45 a.m. CT on Thursday. 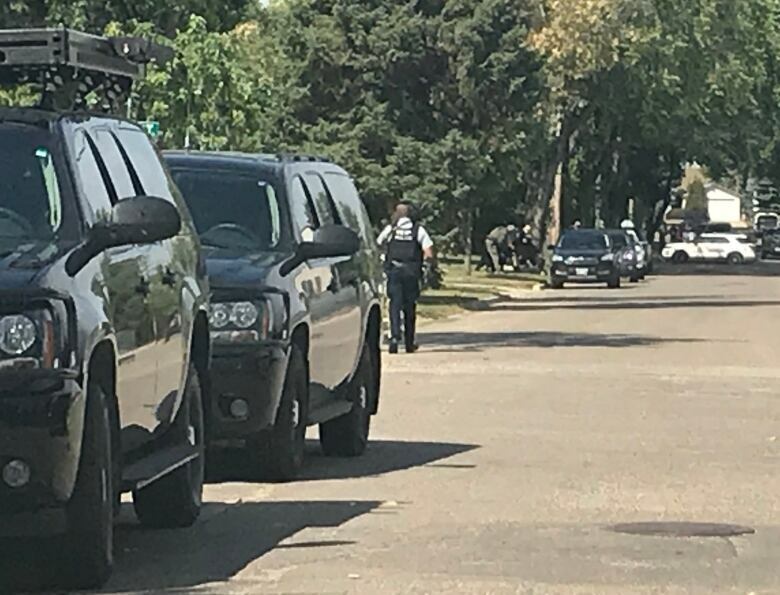 The arrest happened just before 3 p.m. when members of the tactical unit forced a suspect to the ground on a boulevard and then put the person in a patrol car. 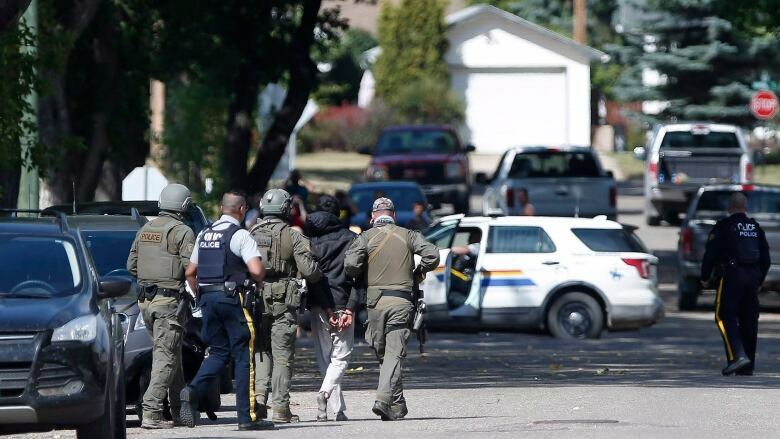 Three other suspects in the shooting were arrested by RCMP early Thursday morning. None of the suspects have been identified and police have not said whether or not they have been charged. At an RCMP news conference Thursday morning, Assistant Commissioner Scott Kolody said officers were responding to a report of a break-in Wednesday night at a residence near Onanole, a small community about 220 kilometres northwest of Winnipeg. As soon as the officers got out of their vehicle, they were fired upon, he said. The perpetrators fled and officers did not return fire, Supt. Scott McMurchy said. Police immediately secured the scene to allow emergency responders to get to the wounded officer. Police later arrested four suspects in three separate locations. One suspect is being held at the RCMP detachment in Wasagaming; two are being held at the detachment in Minnedosa. Kolody said he visited the Winnipeg hospital where the officer is receiving treatment and met with his family. McMurchy said the officer would have been wearing body armour at the time he was shot. "Every situation that our officers respond to, they treat appropriately. They conduct a proper risk assessment and they respond accordingly. Responding to a break and enter, and especially one that is believed to be in progress, I would consider a fairly high-risk situation," he said. 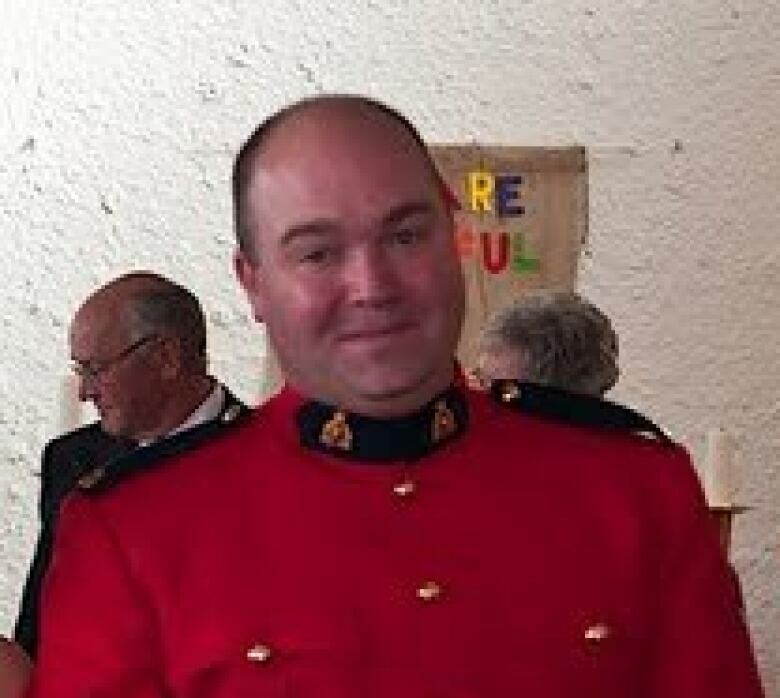 Scott Kingdon, a second cousin of the injured officer, said he is angered by the shooting but relieved his relative will be OK.
Elgin Hall, the mayor of Clanwilliam-Erickson, the municipality south of Onanole, said the corporal comes from a family of police officers. "Fine, fine people," said Hall. Onanole Reeve Lloyd Ewashko said it was a stressful, scary night for everyone. "In my opinion, it's changed our community greatly," he said. "We are a quiet little town and not accustomed to activities like that in our neighbourhood. And yeah, there's going to be a big change in our community in how we watch out for each other now." Police set up roadblocks around Onanole overnight and early Thursday morning, limiting access to the community, and checked all vehicles going in and out. Residents were warned to lock their doors and windows overnight. Allyson Gillan said she was home alone in Onanole Wednesday night when RCMP descended on the community. 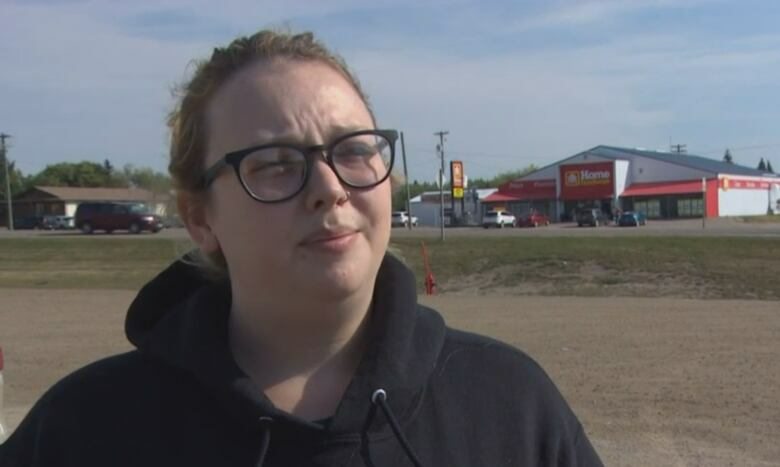 News of the manhunt in the area scared her, so she got in the car just before midnight and headed to Dauphin to stay with her mother. "I'm a little shaky because nothing like that happens here," she said. "It's a very quiet town." Brent Ryz owns a gas station and convenience store in town and is part of the local emergency response team. 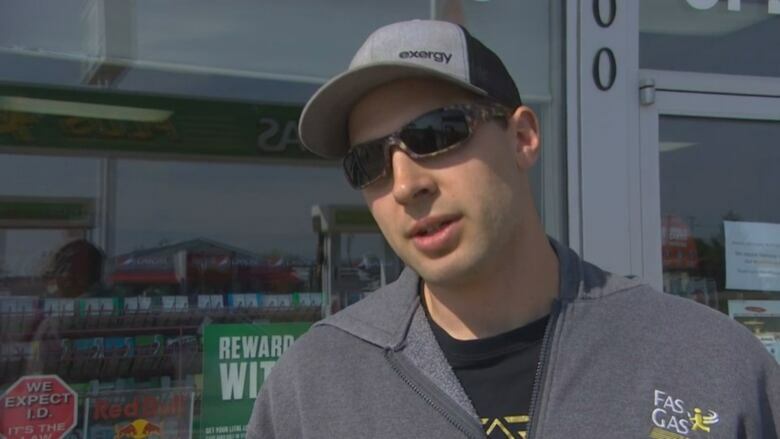 He was called in to open his shop after 1 a.m. Thursday so RCMP and other emergency vehicles scouring the area for suspects could fuel up. "It really hits close to home," he said. "To see it up here is kind of a shock." With files from Riley Laychuk, Cameron MacIntosh, Cameron MacLean, Bartley Kives, Camille Gris Roy, Patrick Foucault, Austin Grabish and Bryce Hoye.